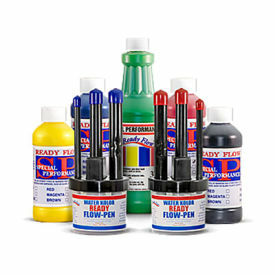 Ready Flow Pen Sets - canister pen set. Special performance ink. Environmentally safe, water based. Works well on regular or glossy paper, and vinyl banners. Not flammable, fade resistant. Will not run or spot when sprayed with water!